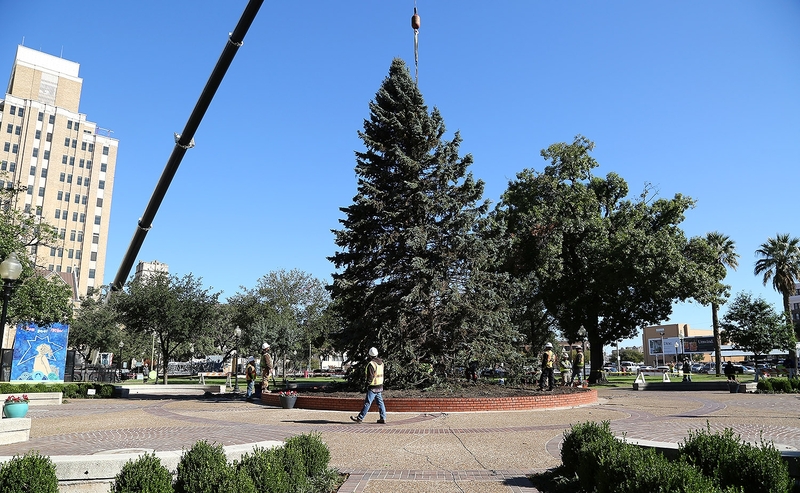 As San Antonians slam plates of turkey, cranberry sauce and stuffing today, many families will be making plans to visit Travis Park tomorrow night for the lighting of the 50-foot Blue Spruce H-E-B Christmas tree. 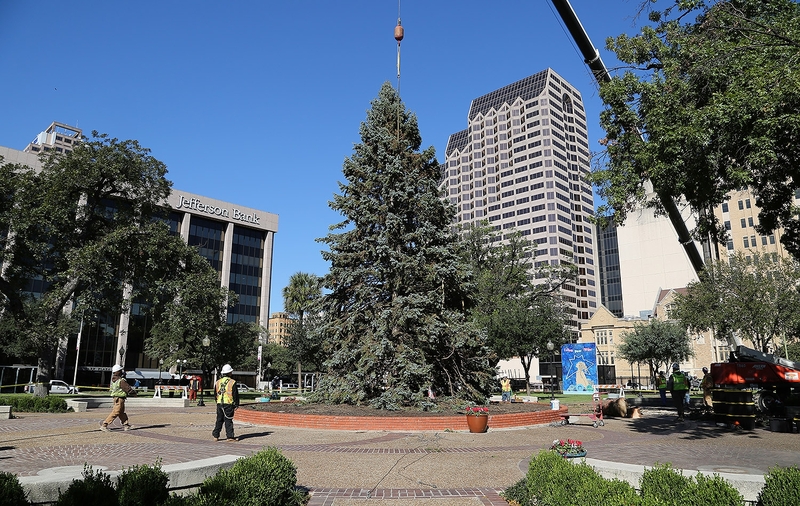 In the back of many people’s minds will be whether the city, H-E-B and Centro San Antonio’s decision to move downtown’s largest Christmas tree from Alamo Plaza to Travis Park is a permanent one. 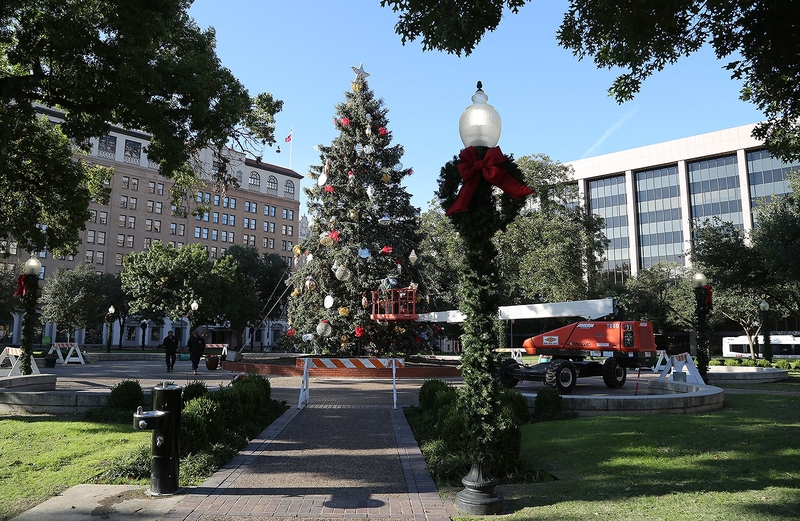 City officials, including District 1 Councilman Roberto Treviño, say it’s too early to plan future Alamo Plaza traditions and programming, and that includes the Christmas tree lighting celebration. 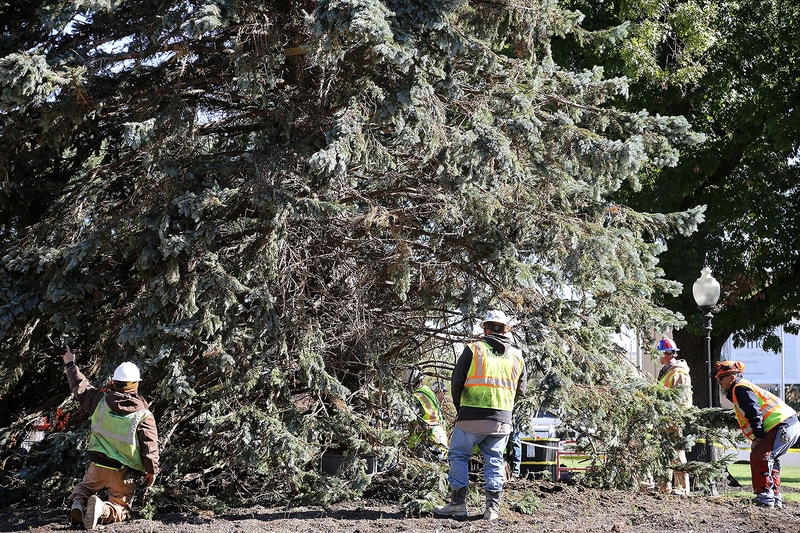 Last year, officials gave the public several reasons justifying the move. 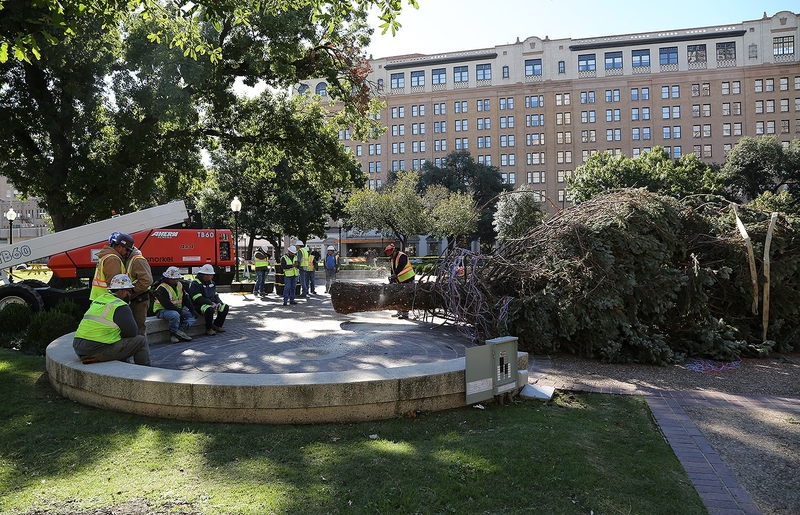 In an interview with the Heron, Treviño pointed to a combination of anticipating the multimillion dollar Alamo Plaza reconstruction, and the space that became available at the center of Travis Park after the Confederate monument was removed in the dead of night on Sept. 1. 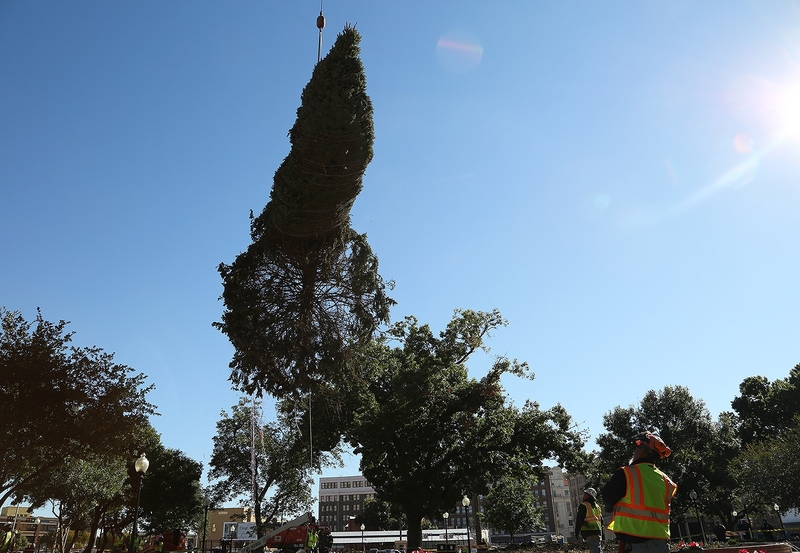 Both decisions were criticized, but the tree relocation drew the most public outcry. 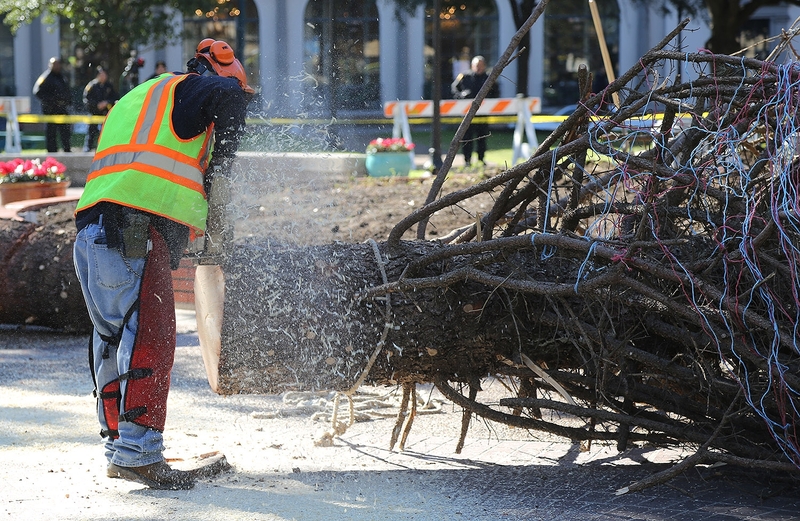 Still, construction at Alamo Plaza, an estimated $250-$300 million effort that was approved by Council on Oct. 19—to much protest by various groups—has yet to begin. 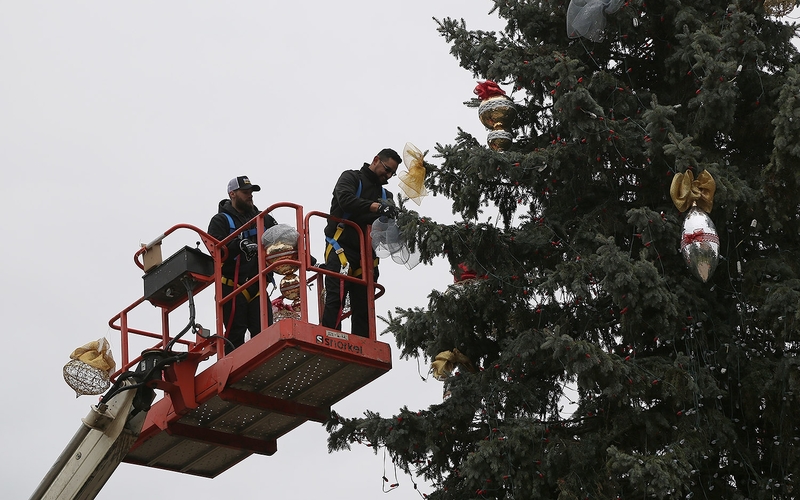 Some people, including Steven Monreal, a downtown restaurant worker who started a mini Christmas tree movement last year, wonders why the 50-foot tree at Travis Park couldn’t be switched with the 20-foot tree that’s going on the plaza. 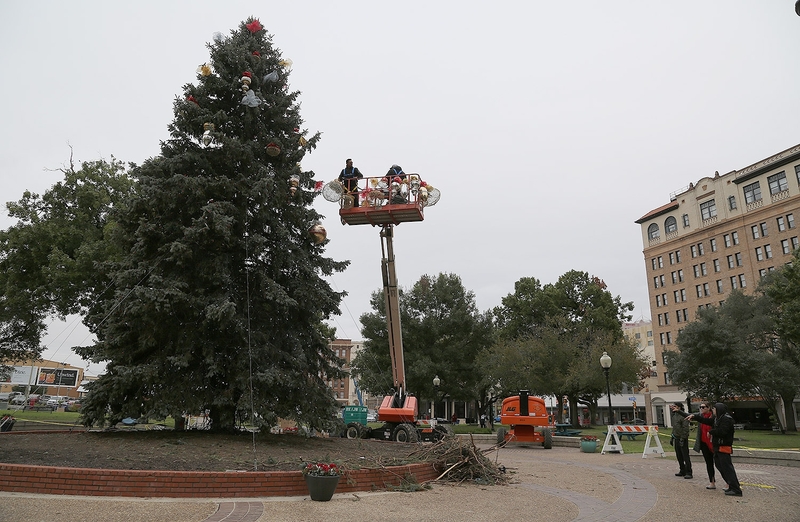 Treviño and city officials said the H-E-B Christmas tree returned to Travis Park this year because of the success of last year’s ceremony and continuous programming at the park throughout the holiday season. 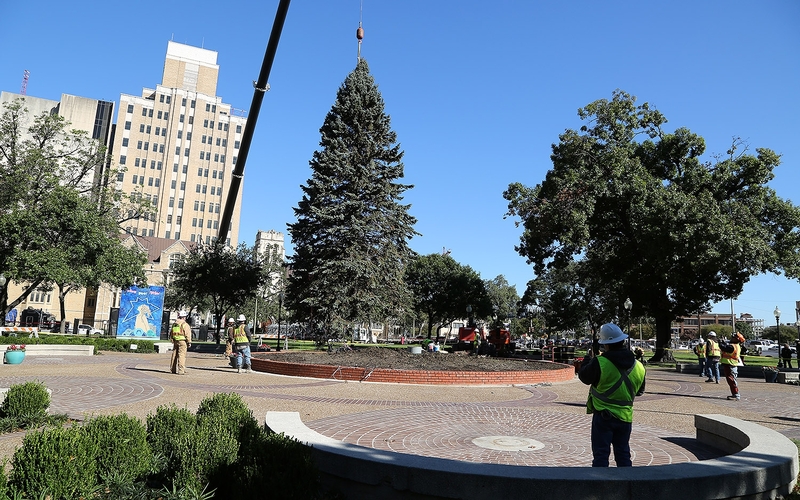 “The move to Travis Park created an action packed holiday season with holiday activities and entertainment, and we will continue to offer exciting programming for all ages this year,” said John Jacks, director of the Center City Development and Operations department. 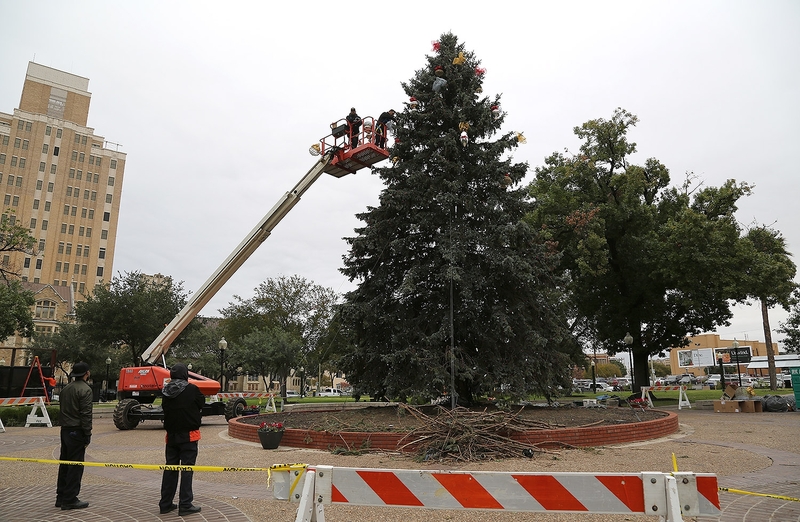 It begins with the 34th Annual H-E-B Tree Lighting Celebration, which is scheduled for 3-6 p.m. Friday. 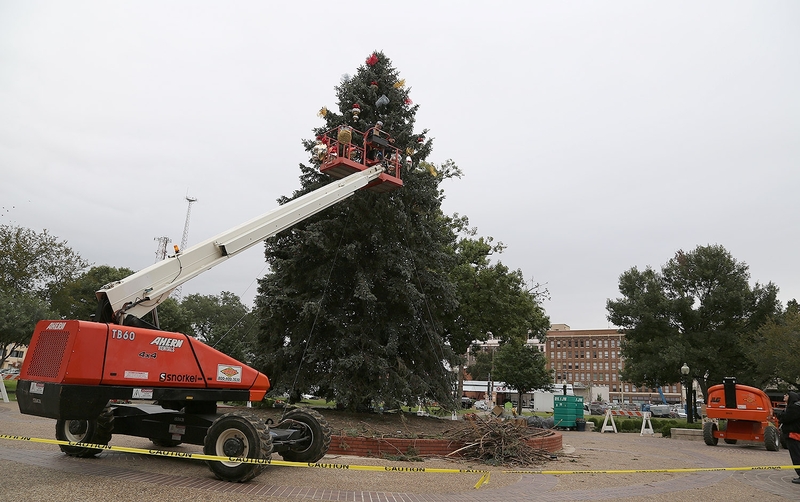 The tree lighting will take place at 6:20 p.m.
H-E-B is providing a 20-foot Christmas tree for Alamo Plaza, which is scheduled to be installed and lit on Monday (Nov. 26), weather permitting, Jacks said. 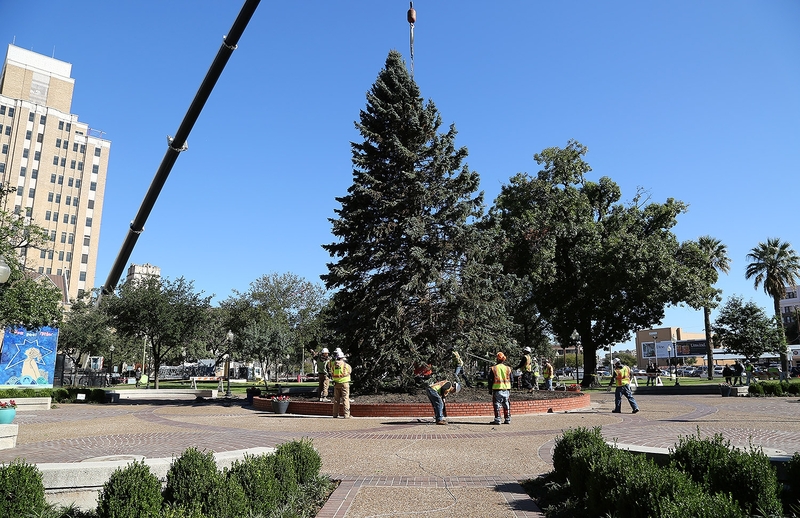 At 7 p.m. Sunday, the day before the 20-foot tree is to be placed on the plaza, Monreal will lead a mini tree party. 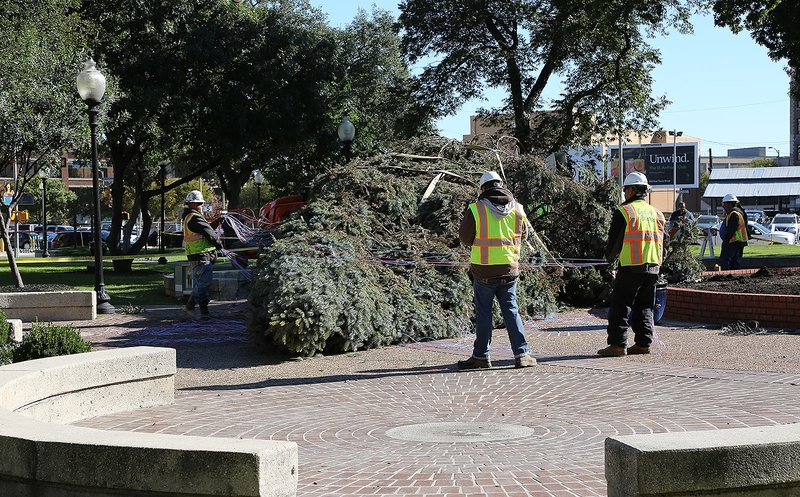 The goal: to fill up Alamo Plaza with 300 mini trees in celebration of San Antonio’s birthday. 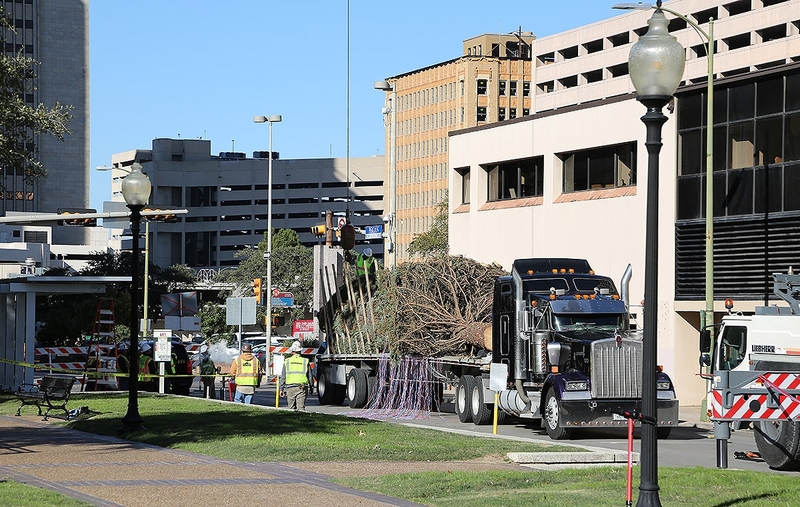 It’s an expansion of the tree protest last year, when Monreal placed a mini tree at Alamo Plaza during a period of time when there was no Christmas tree presence there. 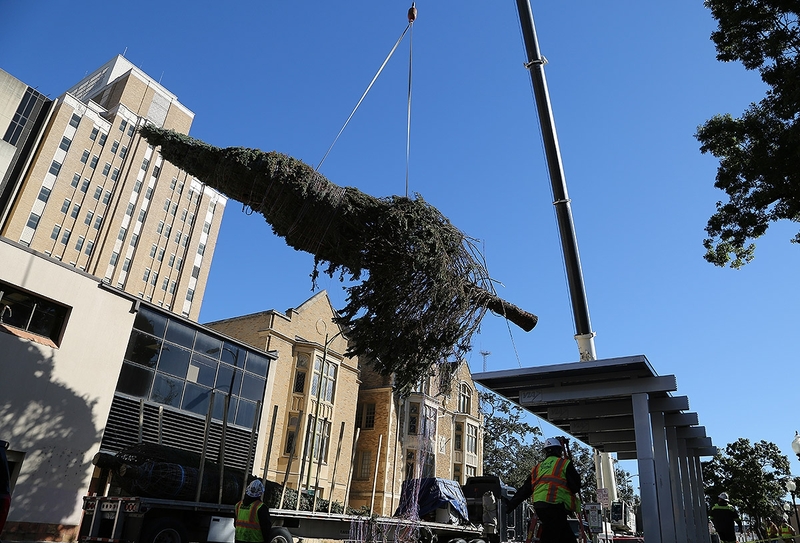 He also placed mini trees at San Fernando Cathedral, Arneson River Theater, Hemisfair, and the Hays Street Bridge. 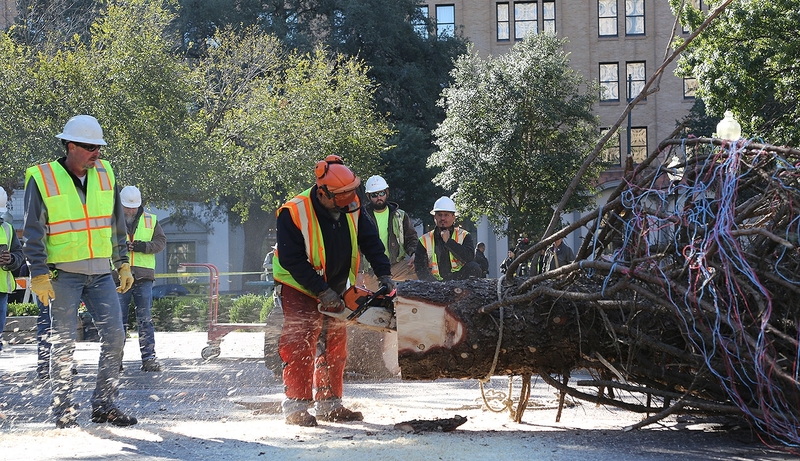 Monreal said he placed the trees to bring hope to Alamo Plaza when it had no tree presence. Last year, others saw Monreal’s efforts on social media, and they joined in. 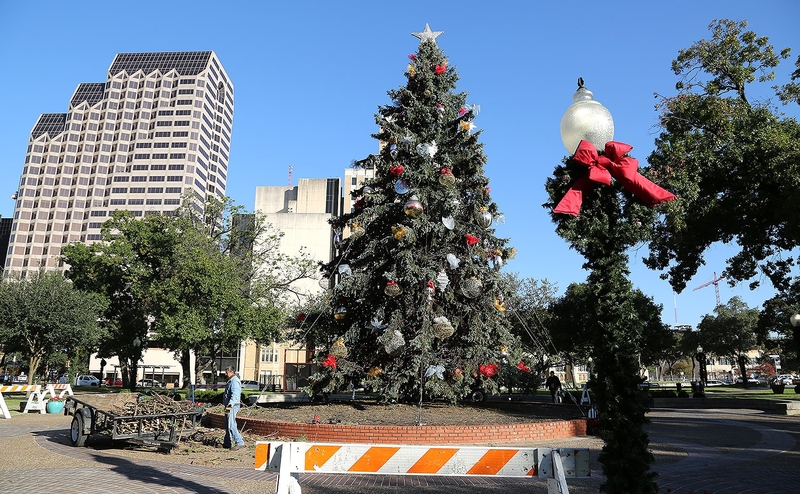 » Fantasyland at Milam Park, Saturday (Nov. 24): Friends of Milam Park host this ode to the old Joske’s department store set up with a tree lighting at dusk, Flamenco dancers, arts and crafts vendors, classic cars and a visit from Santa. Noon-7 p.m. Read more. 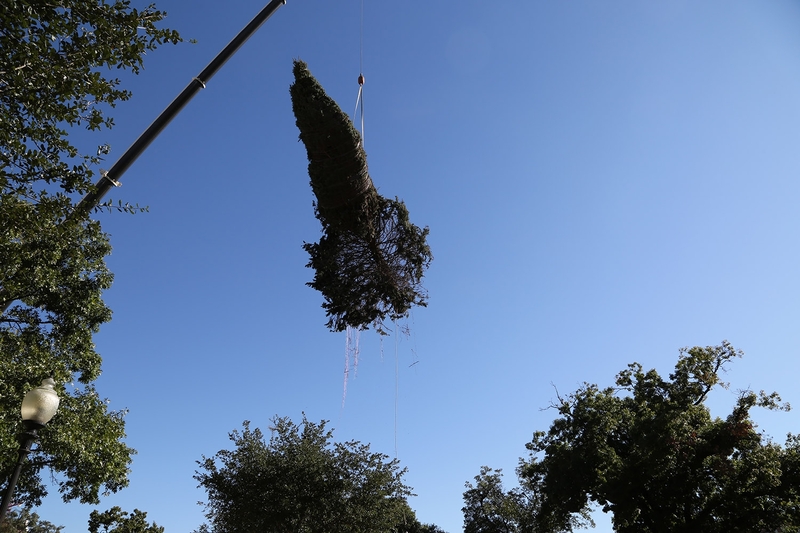 » Alamo Christmas Tree Celebration 2018, Dec. 15: This is Texas Freedom Force is hosting its own Christmas celebration at Alamo Plaza, which, like Monreal’s mini tree efforts, is in protest to the city moving the largest tree. Santa will be on hand to hand out toys to girls and boys at no cost on a first come, first serve basis. Elves and others will hand out cookies. 7-9 p.m. Read more. Yeah super lame. 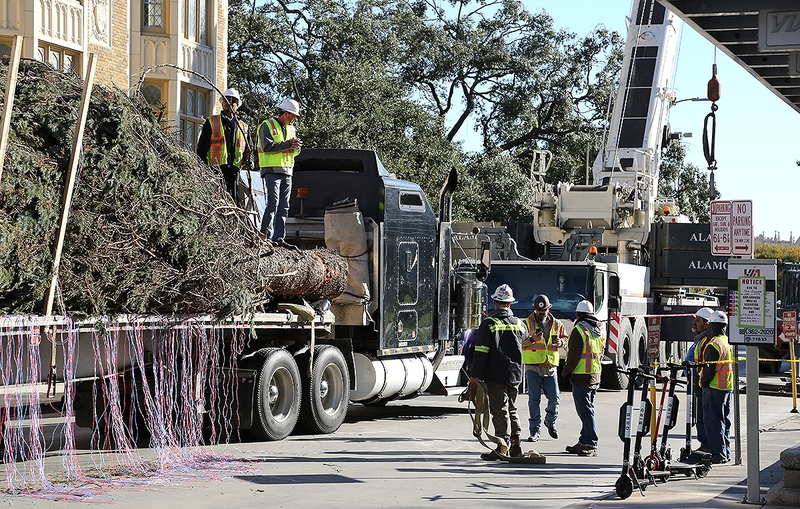 Putting the tree in front of the Alamo makes it special. A picture that can only be taken in San Antonio. A picture everyone knows instantly as San Antonio. 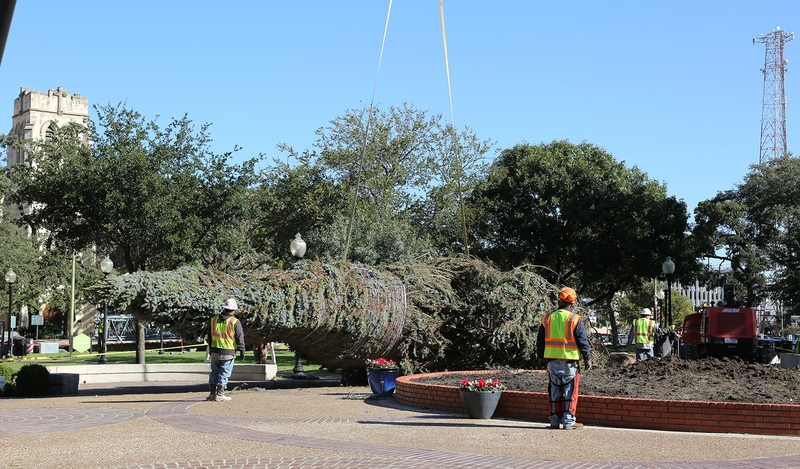 Putting in Travis Park is just like any other city. Travis park and the surrounding area isn’t even a nice area. Parking lots to the east and while the St. Anthony is a nice building it is hardly breath taking. Even less so with the Jefferson bank building and the small building to the north. 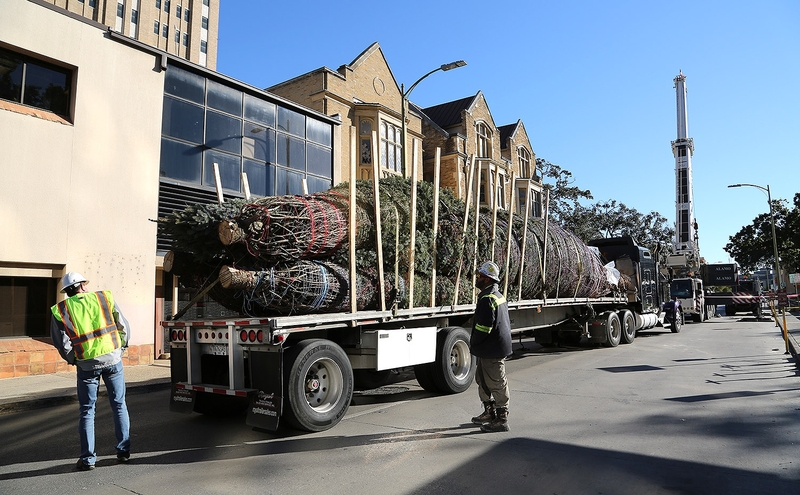 The tree needs to be in front of the Alamo. I’d have to disagree. 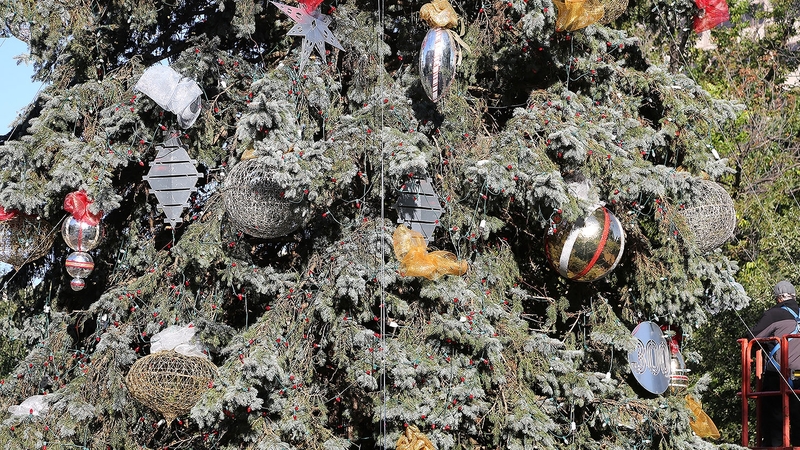 We attended this years tree lighting ceremony at Travis Park and it was a very special occasion. 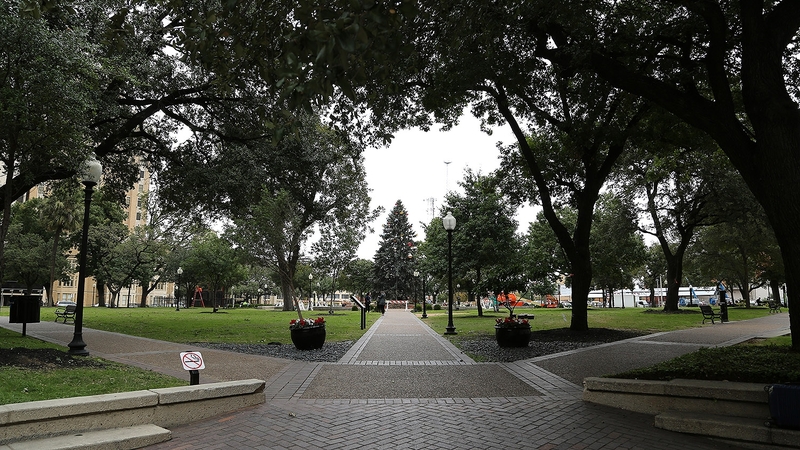 San Antonio has more to offer than just the Alamo, and Travis Park is important to a lot of us. 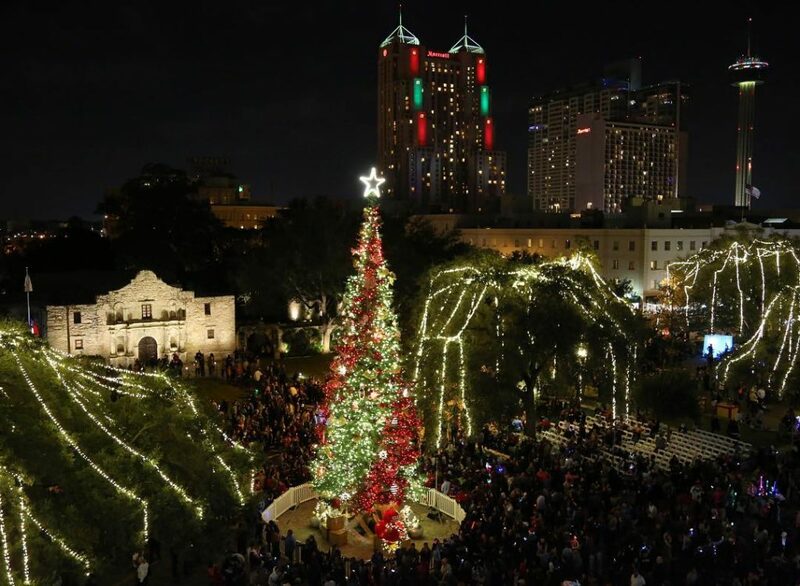 I felt like this years lighting was more for the people of San Antonio, not the tourists. 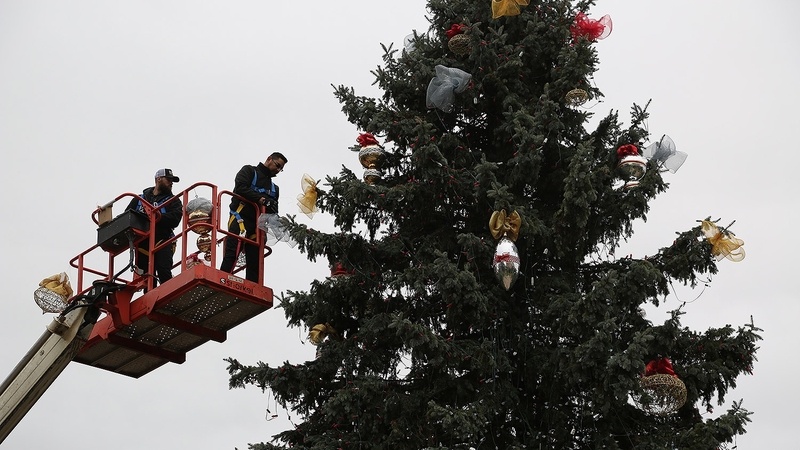 I saw nothing but happy people celebrating the holidays together and the count down to the lighting was louder than I had expected. 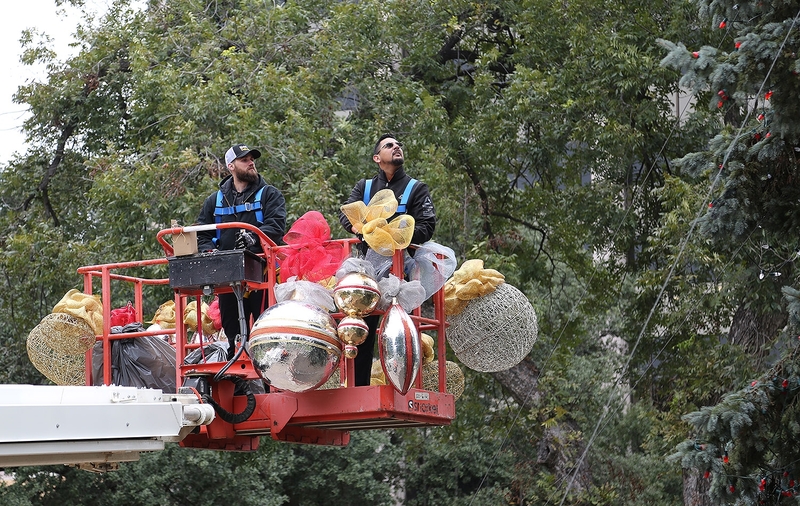 I don’t care where the lighting ceremony takes place as long as we get to check it out. It’s 1,000 times Better in front of rhe Alamo.